It's been a long time coming, but Microsoft is officially phasing out the Nokia brand name. A post on Nokia France's Facebook page says that the account will soon change its name to “Microsoft Lumia.” Nokia France's Twitter account linked to the post as well, and Microsoft confirmed to The Verge that other countries will follow the same rebranding steps. Microsoft acquired Nokia's device business in April for $7 billion. Even before the switch, the Nokia brand had been fading away. Several of the company's Windows Phone Store apps, such as Treasure Tag and App Social, have dropped Nokia from their names in recent months. Some Nokia websites have also been pointing people to Microsoft, and Microsoft Mobile is now the official name for Nokia's former device business. 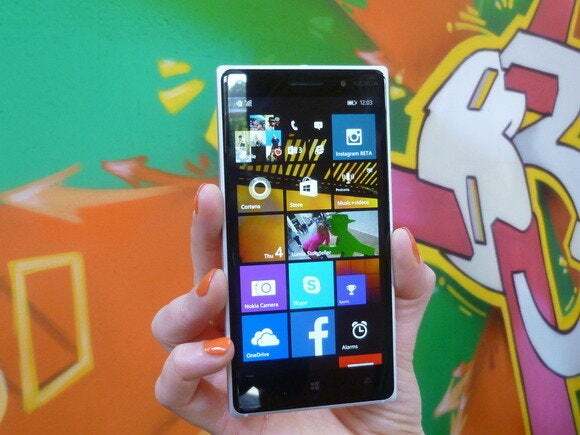 The Lumia 830 may be the last phone to carry the Nokia name. Still, Microsoft was using the Nokia name in actual products as recently as last month, when it announced the Nokia Lumia 730 and 830. Both phones have “Nokia” written on the front bezel, but they could be the last handsets to do so as Microsoft puts the name change into effect. Why this matters: Microsoft clearly feels the need to simplify its smartphone branding, and the Nokia brand is just one casualty. The company has also stopped using “Windows Phone” in its advertising, instead favoring just “Windows” even before merging the two operating systems in Windows 10. Dropping the Nokia brand may also be a case of clearing up confusion, given that Nokia's networking, mapping and licensing businesses still exist as a separate company.